Looking to get some mileage out of your new necktie? 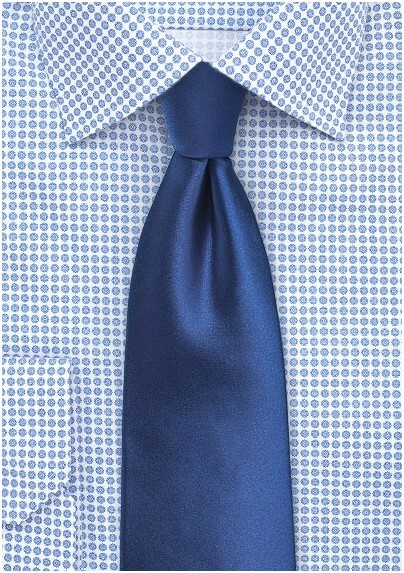 This majestic royal blue necktie is the perfect choice. It is smooth and bold at the same time and will match virtually any colored suit. This tie is great to wear at the office, on a lunch date or even at a wedding. Though many different colors will match this regal blue, we recommend going for a more rich and upscale look by pairing this tie with a deep navy blue pinstriped suit. 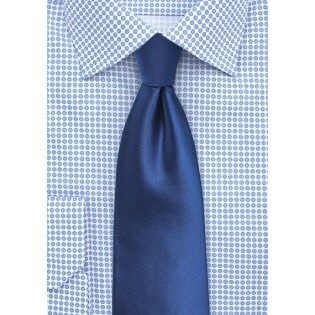 Add in a white dress shirt and a white pocket square to polish off your outfit and you are set to attend any event. This tie is designed by Puccini and crafted from a care-free microfiber.